Today I bring you another quick food preservation tip. 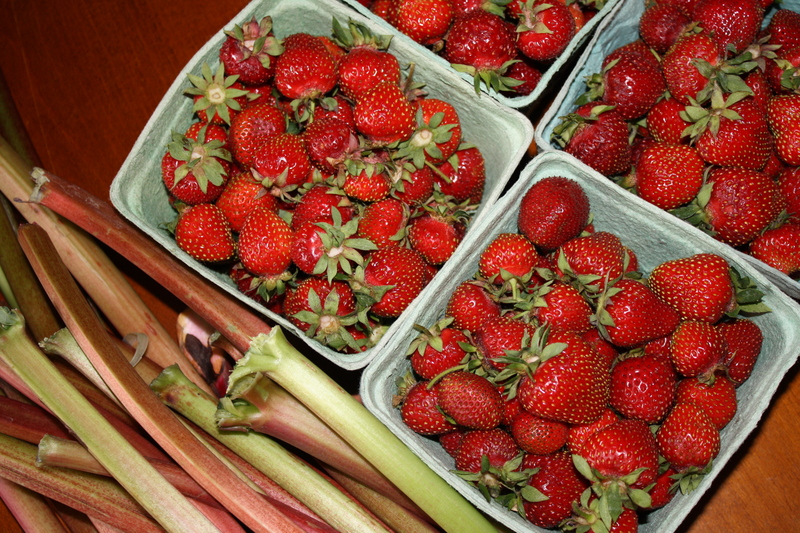 Today’s topic: rhubarb and strawberries…The perfect combo! Rhubarb and strawberries freeze beautifully and it takes little time. For the rhubarb: Rinse the rhubarb and allow to dry. Then cut off the rough ends of each piece. 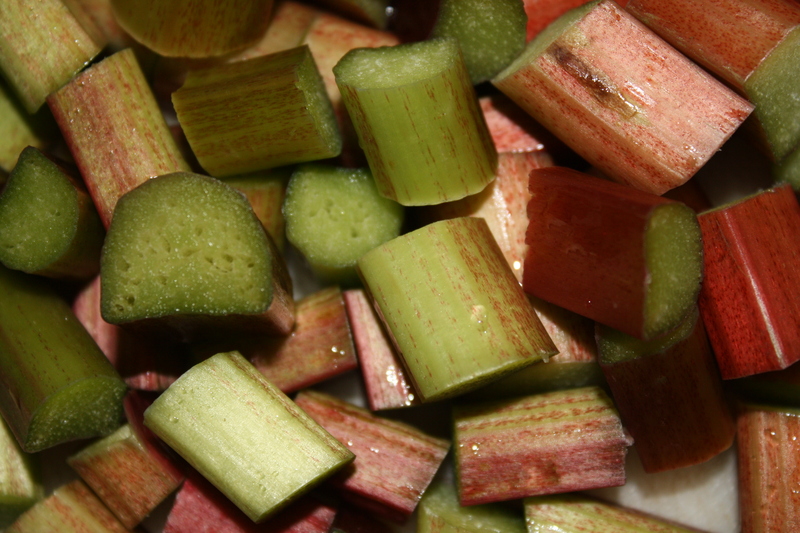 Cut the rhubarb into 1 inch bits, toss into a gallon size freezer bag and you are done. Throughout the year, I simply pull out the desired amount of rhubarb I need for a recipe, allow it to thaw out and you are all set. 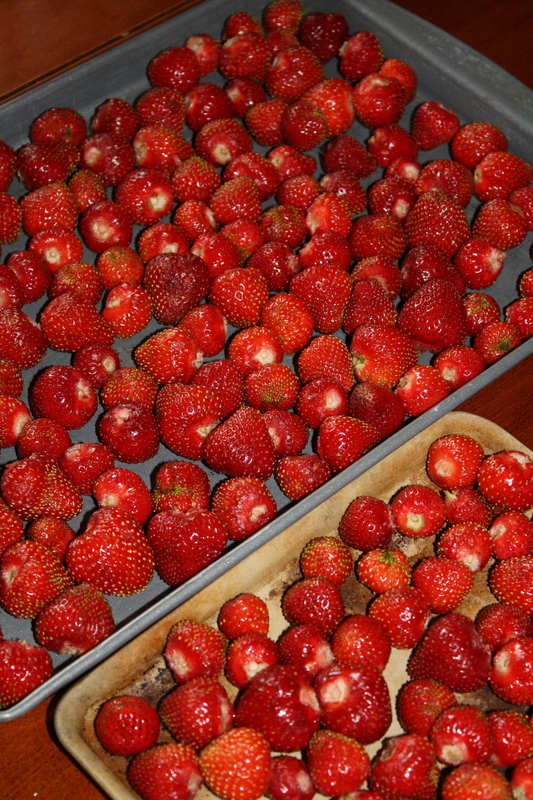 Once the strawberries have frozen, toss them into a gallon size freezer bag and that’s it! I pull these frozen jewels out all year long to add to our smoothies. You could of course allow them to thaw and use them in baked goods as well. This entry was posted in DIY, Gardening, Holistic Living, Putting Food By, Sustainable Living and tagged canning, DIY, eco friendly, farmer, farmer's market, food, food preservation, freezing, freezing rhubarb, freezing strawberries, garden, gardening, gardens, growing, harvest, holistic, holistic living, home, homemade, homemaker, homemaking, make, making, mama, mindfulness, mom, mother, organic, preservation, putting food by, rhubarb, strawberries, strawberry, sustainable, sustainable living. Bookmark the permalink. Great idea to use the cookie sheet for the strawberries. Your strawberries look sooooo yummy! I hope ours will do as well!